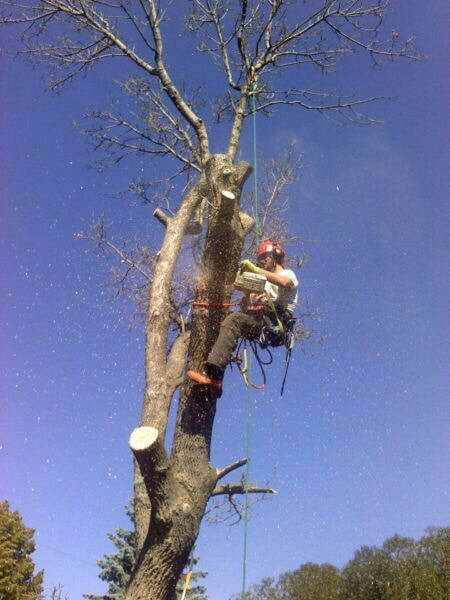 Tree removal is necessary when a tree has become unstable due to canopy die-back, infection, disease, storm damage, root disruption, improper pruning, improper maintenance and encroachment. Tree removal should be your last option when choosing to do major landscape design and renovations. Hazard and danger situations should be the top priorities when considering having your trees removed. Consult with your local I.S.A Certified Arborist to determine if your tree is a good candidate for removal. Zenith Tree Services believes that trees have rights and dignity. It is our job to protect their rights and dignity.